Mark Cronin is one of Hollywood’s most successful television series creators and producers. With over 25 years in the entertainment industry, Cronin is recognized for pioneering a new genre of unscripted programming (celebreality) and is the creative force behind such hit shows as Comedy Central’s Beat the Geeks, VH1’s The Surreal Life, and Bravo’s Below Deck. As one of the most innovative creators and producers of reality television, Cronin is responsible for exceeding cable rating records with some of the most popular content in television, serving as show runner for more than 40 mega-hit television series including MTV’s Singled Out, Flavor of Love, Rock of Love, and Charm School just to name a few. 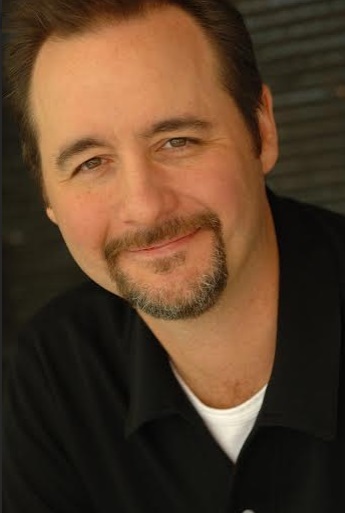 Also the founder of multiple production companies including 51 Minds Entertainment and most recently, Little Wooden Boat Productions, Cronin began his career as a writer and producer for Howard Stern’s nationally syndicated Channel 9 Show, and continued to serve on many of Stern’s TV and video projects, including the New Year’s Rotten Eve special, which was the highest grossing non-sports pay-per-view event of all time. How did you get into the entertainment and Reality TV industry? I did not have a direct route into entertainment. When I was a young man, even though I loved to write and perform comedy, I didn’t think you could make a reliable living in show business. So, in college I pursued and got a degree in Chemical Engineering. But, when I joined the real workforce as an engineer I quickly realized how empty a life could be if you were not pursuing your real dream. I was living in New York City and tried to find a realistic target for my efforts to get on a TV writing staff. I realized that Saturday Night Live and David Letterman were unlikely to notice me - but Howard Stern was producing a show in Secaucus NJ that seemed just ragged enough to need my help. For weeks I faxed in sketches and jokes and followed up with phone calls to the producers. Finally I wore them down and I was hired for the writing staff making exactly what I was making as an engineer at the time. I never looked back. I consider Howard Stern the originator of the type of comedic “reality” on which I have built my career. He was the first to deal with celebrities lives, their honest thoughts and get them to let down their guard without the PR filter in place. Whether it’s a game show, a talk show or a reality show, I always try to keep it funny, surprising and very honest. Any emerging trends in the reality TV space? I think the social experiment is poised for a comeback - Naked and Afraid is a good example. Set up simple, but challenging ground rules, insert good casting, and watch what happens. It’s still fun to watch people get real. It’s also the best counter-programing to all the exceptional scripted series available now. No matter how good a drama series is, it will never be as real and revealing as reality can be. In some ways it is a great time to start a production company. If you can hang a shingle, get two or three series on the air that are working you can make yourself an acquisition target in three years. On the other hand, it has never been harder to make a profit on reality TV production. These days the networks demand a very large amount of service and infrastructure for absolute minimum (and declining) fees, compensations and backend participation. The standard use to be that a production company could expect 10% of the budget as their fee. Now you find that level mentioned in a contract but the very next clause “caps” the fee at a level that works out to more like 7%. And it use to be that a production company could participate or even keep all of the underages on a production. Now you find that the network expects any savings returned to them. But, if you can get a show on the air that is working - to me that means one that the network wants to order again - you can start to improve your efficiencies and leverages and start improving your margins. I started a production company in 1997 because I was not getting hired often enough to work on other people’s shows. I realized that I had to make my own jobs by selling my own shows. My running theme and vision for the company was to create and produce shows that always had a comedic edge. Many people were competent reality show runners - my humor was what made me unique, so that’s what I tried to emphasize. Using my experience with Howard Stern combined with my credit on MTV’s Singled Out, I was able to walk in and pitch as a young show runner who had national hit experience in hip comedic reality. That reputation allowed me to sell shows like The X Show on FX and Beat the Geeks on Comedy Central. I formed my new company, Little Wooden Boat, after I sold my company 51 Minds to Endemol. After six years earning out a management contract with an international conglomerate like that, I was ready to go back to the freedom and flexibility of a small company. My strategy is always Step 1: Create Hit Show, Step 2: Exploit Hit Show. At the moment I am having great success with Below Deck and Idiotest. Both shows are ripe for their next steps. I’m sure Bravo would like more “upstairs downstairs” concepts and I’m sure GSN would love more “graphic puzzle” comedic game shows. I’m in the pole position, but now I have to hustle to be the one to supply them. The key is to recognize your next opportunity and be prepared before it has become fully visible to everyone else. I really have to hustle now that once this article is published! I actually don’t like to think about it. The most difficult moment in my career came in the form of a news report that the mutilated body of the wife of one of our former cast members had been found in a dumpster and that he was being sought by the police. This guy had been a finalist on our show "Megan Wants a Millionaire" - that had only aired two episodes so far - and a finalist on our spin-off show “I Love Money 3” - that was then still in post. Apparently, directly after shooting the Megan show, he took the premise of finding a trophy wife to heart and promptly went to Las Vegas and married an exotic dancer. Then he went to Mexico to shoot ILM3 trying to win the $500K grand prize to bring home to her - which he did. But, when he got home from Mexico, he decided that his wife had been cheating on him and he strangled her. It was an awful crime and it all ended with him hanging himself in a Canadian hotel room after leading police on an international manhunt. The whole thing might not have been such a terrible disaster for me if it wasn’t for the fact that TMZ went to Calgary and paid a court clerk to show them an expunged charge where the guy had been accused to abusing his ex-girlfriend. Now it looked like the guy had not been thoroughly background checked before coming on our show - even though the record should never have shown up. At the time VH1 reacted by basically blaming my company for exposing them to this PR disaster. They canceled Megan Wants a Millionaire, pulled the plug on I Love Money 3 and demanded that we make up the $12M hit they were taking due to the cancelations. Our company profits dropped by half that year and by another half the next year. What did I learn? Well, I always knew it, but the whole thing really hammered home that reality television is about real people - who are not professionals - and who carry an enormous amount of risk to any production company or channel. Different than when an actor misbehaves or commits a crime - a reality show participant besmirches the entire operation because the entire operation is perceived to be about misbehavior. And in many ways that’s true. The challenge for a reality TV producer is to encourage or capture personalities under duress - and often roiling personal explosions - but those explosions have to be managed perfectly to allow an interesting story full of conflict and resolution (the very definition of drama) but not allow a descent into actual physical danger. It is the greatest challenge (and art) of my job. What would you say is an ideal experience for a viewer of your shows? As I have said, I really want to make you laugh. But, if I can also show you something true - something honest - something surprising - something revealing about humanity - then that’s the ideal experience. I think it’s the same thing Shakespeare was after in his comedies - just instead of making beautiful poetic plays that will last for eons - I’m making episodes of pure lunacy meant to let you waste some time. Television is such a collaborative medium you have to have a very big team of talented and motivated people in all departments. I try to appeal to the idea that we have all come together to make something great. If we all have that same goal - and they trust my track record of making great shows - then I can get everyone going in the same direction - hopefully the direction I’m am pointing. If you are just starting out - get any job in the biz and do everything whether it’s part of that job or not. If you are already a show runner, or soon to be one - don’t be afraid to start your own company. Only by creating, selling and running your own shows can you break out of the “work for hire” dead end. You will eventually age out of the business, and there is no 401K for show runners. The only way around that is to hang your own shingle and either conquer the world yourself or sell to someone who has.